All it took was an act of kindness for the idea of “Santa and his Super Hero” to come to life. A few years ago, three-year-old Nathan McTaggart was making a donation to a local food bank when a firetruck pulled into the area. 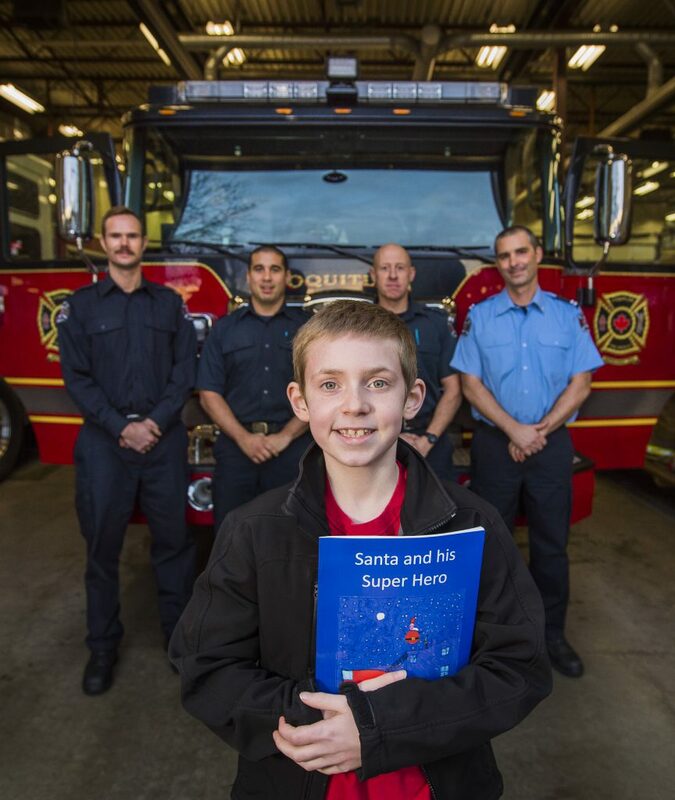 The fire truck captivated Nathan and later on he asked his dad, Keven McTaggart, what would happen if Santa got stuck in a chimney and couldn’t get out. The fire truck and pertinent question formed the beginnings of what would become the book “Santa and his Super Hero”; a story about Santa getting stuck in a chimney while a firefighter named Nathan comes to his rescue. The initial stages of the book were a challenge for Keven and Nathan, particularly the illustrations. “After a couple years of looking for someone to illustrate it, Nathan’s grade 4 teacher had her class do some illustrations as a preparation for a project that they were going to do. She showed me the images and I was totally amazed,” says Keven. The illustrations from the book were hand-drawn by the students in Mrs. Shinkewski’s Grade 4 class at Harbour View Elementary School. But as the two started to put a draft of their book together they realized they wanted to give back to the community by donating some of the proceeds to a charity. 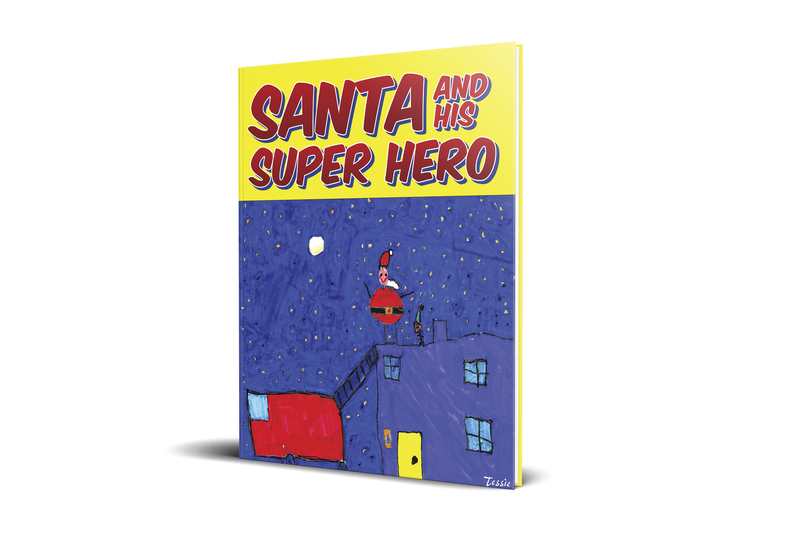 “The biggest take away from the book is that the net proceeds from the sale of Santa and his Super Hero will be donated to the Professional Fire Fighters’ Burn Fund,” says Keven. As part of promoting the book, Nathan and Keven have visited fire halls all over the world, “We’ve done about 40 fire hall visits in and around the Lower Mainland of BC, three in Washington State, one in Mexico, four in Manhattan, and more recently, we returned from a 16 day, 18 fire hall tour of Southern Ontario and Montreal,” says Keven. 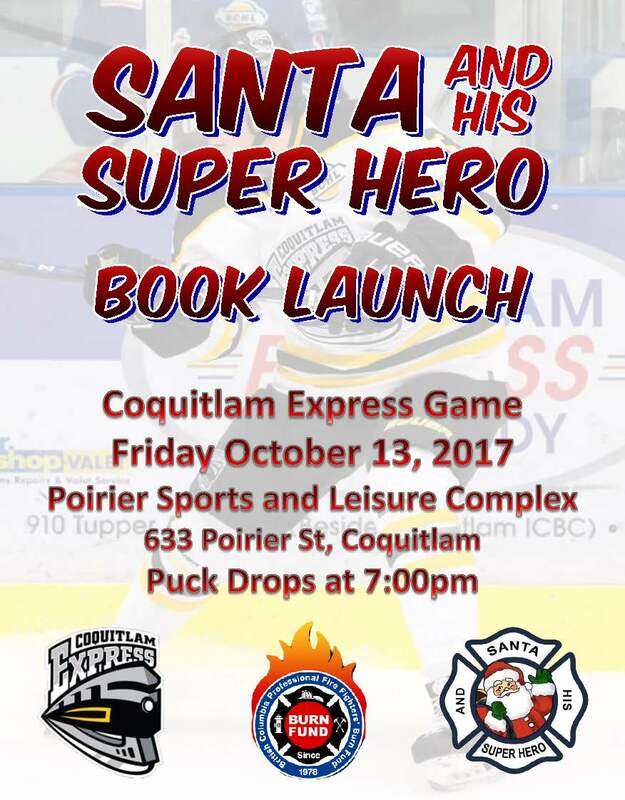 On October 13, Nathan and Keven will be launching Santa and his Super Hero at the Coquitlam Express hockey game. 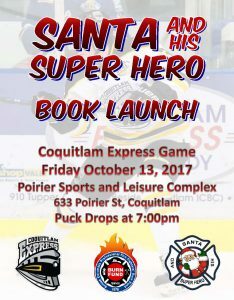 Nathan and Santa will be dropping the puck at the opening face-off at 7 p.m. and they will both be available for book signings afterwards. Members of the B.C. Burn Fund, the Coquitlam Fire Department and some Coquitlam City Counsellors will be in attendance. But what really motivates Keven and Nathan is the opportunity to help a charity like the B.C. Burn Fund. “Last year at the Bright Lights in Stanley Park, we met a young lady who is a burn survivor and attended the Young Burn Survivors Camp. Nathan was happy to have met her and more than that, he is happy that he will be helping people like her with this book,” Keven explains. The book is more than just a story too; it’s also an interactive experience. There is a “Letter to Santa” section at the back of the book where children can write their letter to Santa, cut it out and mail it to the North Pole. There are also a few pages where can children can go to fire halls and get their “Super Heroes” to sign their book for them. Nathan and Keven have already started working on an outline of their second book, where a “Shelf-Elf” named Zippy and a young boy named Nathan attempt to re-unite Santa with his brother St. Nick. For more information visit their website: http://www.santaandhissuperhero.ca/.